For our ideal movie night, we would need a decent TV, so number one on the wishlist would be the Panasonic Viera television. * This LCD screen TV could provide us with the best screen to experience a theatre screening at home. We don't often have time to ourselves due to lack of available babysitters and no immediate family in the area, so cinema dates are very few and far between. 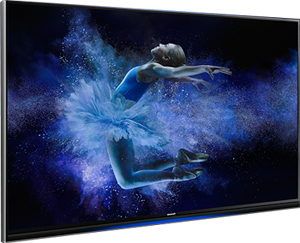 Our TV is a regular HD model but the Panasonic is 4K, (4x as many pixels) which we have not experienced yet, so that plus the far superior sound quality could really add to our movie experience. Our Celcus cannot provide us with such detailed imagery or offer 3D viewing that the Viera can, even though it did come with glasses. This 4K TV is a Smart TV, another feature we currently lack, so we would be able to take advantage of Netflix 4K streaming as well as browse internet apps such as Amazon. Whilst we wait impatiently for the next season of Game of Thrones (hums theme tune), I'm keen to catch up on the drama series 'Homeland'. I am so behind! What Rob would like is a TV with plenty of USB and HDMI ports to ensure that all of his toys can be connected and ready for a gaming night post movie and popcorn. Which brings me onto the perfect snacks. Now clearly popcorn has to feature. I rather like the Waitrose Good to Go maple and bacon flavour popcorn because it has the perfect balance of sweet and savoury but it is incredibly moreish. Since this popcorn would make me extra thirsty I would enjoy a few glasses of Cawston Press Apple and Rhubarb with sparkling water. It seriously tastes like rhubarb and custard. Rob would go for copious quantities of homemade ice cream! 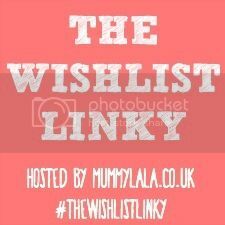 Aside from a cosy blanket for two and perhaps a Quooker boiling-water tap ready for plenty of hot tea, I think that would be it for our ideal movie night in wishlist. Instant production of hot drinks. I need one of these too! How about you? What would you choose for your ideal night in? Looks like a good movie night to me. My perfect movie night would involve some salted caramel popcorn. I love that stuff. Sounds great to me, I would just love the peace and quiet to enjoy a great movie night together as a family, mind you I would love to try the Cawston Press Apple and Rhubarb drink, sounds delicious. Oh for an ideal night in it has to be a dominos, xbox and cuddles on the sofa once the babys gone to bed. my husband keeps on going on about getting a 4k TV, I really am not that fussed, dont get much time to watch it... but that tap! I want it! Pic n Mix is my absolute number one sweet treat for movie nights. My other half would have to agree with Rob about having a TV with lots of USB and HDMI points for all his bits and bobs. 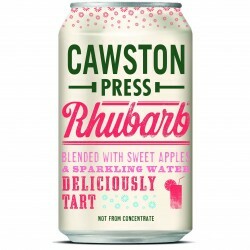 I love the Cawston Apple & Rhubarb drink, I find it quite tart because of the Rhubarb but it's also really refreshing. My ideal night in would consist of a share bag of Minstrels, which of course I wouldn't share! Sounds like a good movie night to me!